Price shown is MSRP. ~Call or email for best pricing~ Trades welcome! The original Suzuki GSX-R750 was designed as a street-legal bike that was born on the circuit. 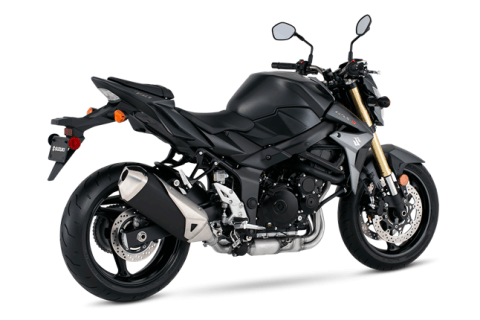 The 2015 Suzuki GSX-S750 gives that championship-winning heritage even more street-smart performance. Blending just the right mix of modern sportbike performance with futuristic streetbike style, this 750 is purpose-built for excitement. Inverted KYB front forks feature a design developed in racing and that is mandatory on a serious, high-performance machine. Frame design combines the advantages of a compact tubular girder streetbike frame and a twin-spar sportbike frame to deliver a dynamic ride. A sport riding position is created by a carefully crafted relationship between the handlebars, footrests and seat. Dual front brakes with fully-floating 310mm discs and dual-piston calipers. 240mm rear disc brake with single-piston caliper. Link-type rear suspension, with a single rear shock absorber working through a progressive linkage. Spring preload is 7-way adjustable. Powerful 749cc 4-cylinder fuel-injected engine is tuned to deliver a dynamic wave of smooth torque and strong acceleration. Automatic Idle Speed Control (ISC) improves cold starting and stabilizes engine idle while also reducing cold-start emissions. Suzuki Exhaust Tuning (SET) servo-controlled butterfly valve helps enhance torque, response and acceleration, especially at low-to-mid rpm range. 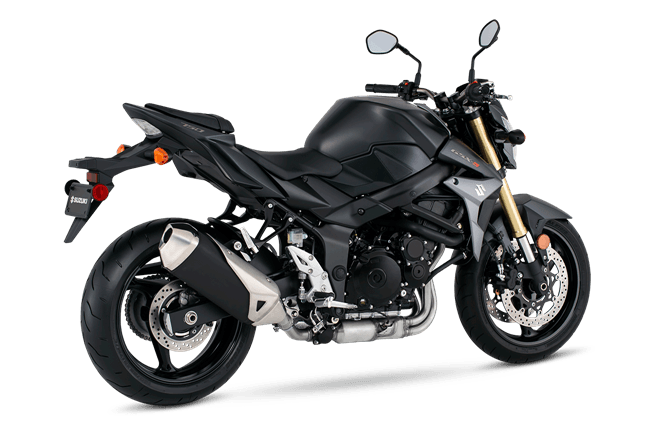 Throttle bodies with Suzuki Dual Throttle Valve (SDTV) system contribute to cylinder charging efficiency and combustion efficiency for better throttle response and torque at the low to mid rpm range. State-of-the-art transistorized digital ignition system contributes to a more complete combustion by igniting the mixture at the precise instant. Iridium type spark plugs provide a more condensed and hotter spark yet last longer. 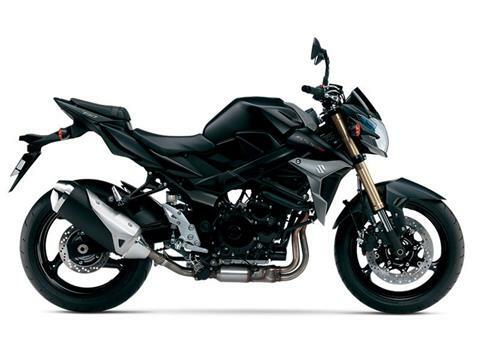 Effective engine management, emission control systems, and Suzuki Pulsed-secondary AIR-injection (PAIR) system injects fresh air into the exhaust ports together allow the GSR750 to meet the latest emission standards. Carefully sculpted aggressive front bodywork and side pieces with highlights including a vented front fender, molded mirrors, chiseled fuel tank, textured tank side panels, and an angular tail section with integrated LED taillight. Bright and distinctively shaped headlight with a 60/55W halogen bulb. Integrated dual position lights with patterned blue lenses. A compartment underneath the removable passenger seat can carry a U-shaped lock or can be used to store small items. Brightness-controllable instrument cluster, featuring a prominent analog tachometer and a large, digital LCD speedometer readout. The LCD display also includes a gear-position indicator, coolant temperature gauge, fuel gauge, selectable odometer/dual-tripmeter/fuel consumption meter and a clock.